Welcome to Australian Professional Education Institute Pty Ltd trading as Sydney Institute of Interpreting and Translating (hereby referred to as SIIT), an Australian registered training organisation (RTO No:91490). It gives me great pleasure to know that you have chosen to study with us and benefit from the quality training programs at SIIT. Full of enthusiasm and confidence, SIIT will work with you and help you fulfill your goals. The academic programs offered at SIIT are built around the needs of the students. The growing “ever-smaller” global village, where exchanges of information across languages and cultures now occur across all spheres of human society, leads to an increasing demand for the services of professional interpreters and translators, supervisors, coordinators and teachers etc. 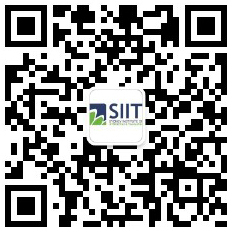 I understand that your decision to study with SIIT is a very important step, either to build a successful career as a professional; working in the professional area of your choosing, or as a step to further academic achievement. SIIT is committed to providing you with high quality education and support services to ensure that you meet your expectations. SIIT will take utmost care to support your learning needs to ensure that your study with us will be productive, fulfilling and rewarding. SIIT will work hard at providing you with assistance and guidance so that you gain the maximum benefit from your study with us. SIIT will provide qualified, devoted and current staff that are passionate about being mentors for you and who are willing to share their work experiences and stories with you. Once again I welcome you to the Sydney Institute of Interpreting and Translating. I hope that you will enjoy your learning journey with us.